No. 318826-7 “On ratification of the Protocol on Amendments to the Treaty between the Russian Federation and the Islamic Republic of Iran on Legal Aid and Legal Relations in Civil and Criminal Cases of March 5, 1996”. No. 318844-7 “On ratification of the Agreement between the Russian Federation and the Islamic Republic of Iran on the transfer of persons sentenced to deprivation of liberty”. No. 268311-7 “On ratification of the Agreement between the Government of the Russian Federation and the Government of the Republic of Finland on the sale of premises to the Government of the Republic of Finland in St. Petersburg”. 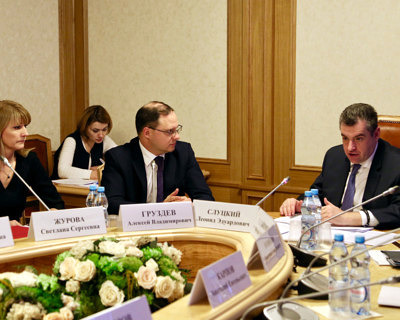 Deputy Minister of Justice Galperin Mikhail Lvovich and Deputy Minister of Economic Development Gruzdev Alexey Vladimirovich took part in the meeting.